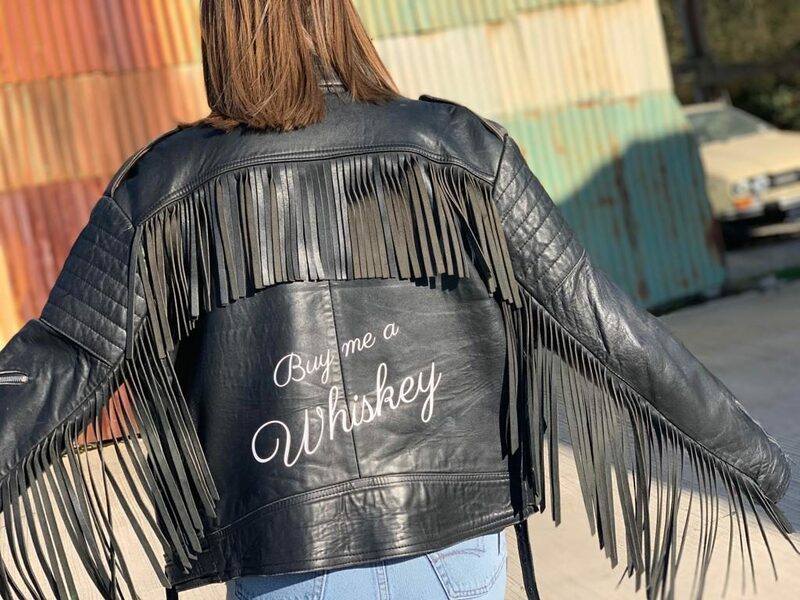 Alongside this boutique’s vintage offering that comprises of bohemian clothing, jewellery, bags and belts, there is also the added option to have your jacket customised, choosing your own style, slogan and effect. Second to ASOS? That’s us! 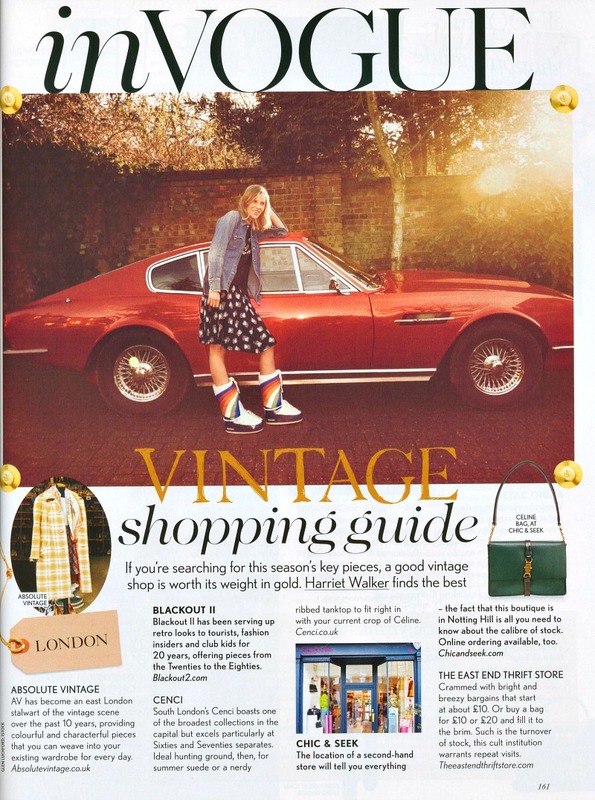 We were delighted to be second to ASOS in Marie Claire’s online vintage stores countdown. Or how to look like Alexa Chung, Kate Moss, Sienna Miller and co.
Mixing vintage with high-street clothing is the key to being trendy without looking too try-hard, just ask Alexa Chung, Sienna Miller and Kate Moss. But vintage shopping isn’t easy, you can easily spend hours in a store and walk out with nothing – which is why online shopping is the answer. We’ve rounded up the best online vintage clothing stores for you, whether you’re after a vintage Chanel 2.55 bag, or the perfect retro band t-shirt. You are very safe in Stella’s hands. Having worked at Levi’s, Marks & Spencer, Topshop and own a stall at Portobello Market (Kate Moss and Stella McCartney were regulars, FYI), she set up The Stellar Boutique. It’s bursting with one-off gems from designers and artists from all over the world. Warning: you will lose hours of your life pouring over Stella’s cleverly curated collections. This was a lovely surprise for us; a mention in German magazine Maxima’s website. Great to see us reaching vintage fans from far and wide! 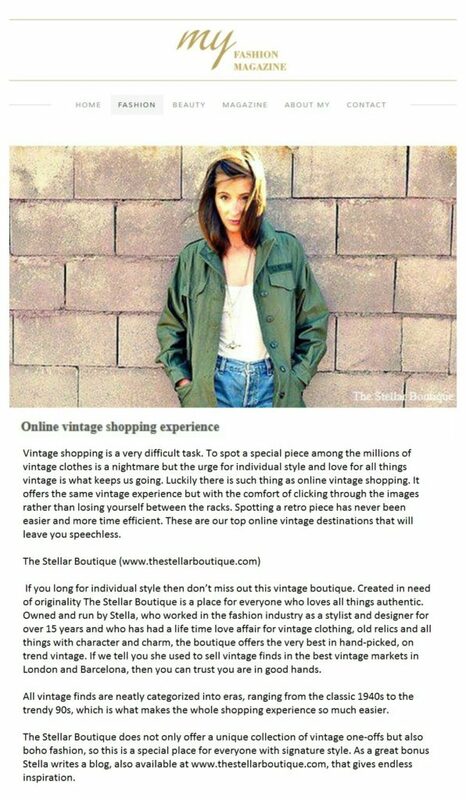 We’ve been listed within the top 5 online vintage shops! We’re over the moon to be listed number 5 by The Odyssey in their online vintage places to buy countdown. We’re up there with Beyond Retro and ASOS Marketplace. Woo! Vintage! Some people love it, some hate it, others use it as costumes, whatever you’re lifestyle, it’s time to bring back the good ole silhouettes of the past. Everything comes back into fashion right!? Vintage clothing has recently become a huge trend as the “hipster” phenomena has swept our nation, our eateries and especially our closets. Something about the pre-owned clothing brings about a melancholy, retrospective celebration of our past fashions, stapling a whole new uniform for our generation–20 something, college students. Possibly the greatest benefit from vintage is the price! If you are like me and always trying to keep up with the trends–vintage is a great alternative and in turn gives you a look no one else can replicate–not just keeping up with the trends but one-upping them. For example I didn’t want to be the billionth girl to order the original Adidas superstars, so instead I shopped Asos Marketplace and found some dope grey and white vintage ones and for half the price! This then sparked a conversation with my mom about how she remembered buy her first pair of Adidas in the early 80’s, connecting generations in style. Still if “old” clothes aren’t in the cards for you, they still make the BEST costumes. For my sorority girls, bid day is coming up and no better accessory than a neon windbreaker or some sick hightop trainers. Socials, game days, everyday, you name it and there is some piece of the past that can really enhance your style and outfit. Here are some of the top places I have scoped out to buy vintage, some just around the corner for my fellow bulldawgs! Online Shopping for those girls a little too tired to leave the comfort of their bed! Shopping online definitely has it perks, just have to super careful about the sizing and quality of what you are buying into! The money signs indicate the price scale showing where to splurge and where to find great deals. 6. 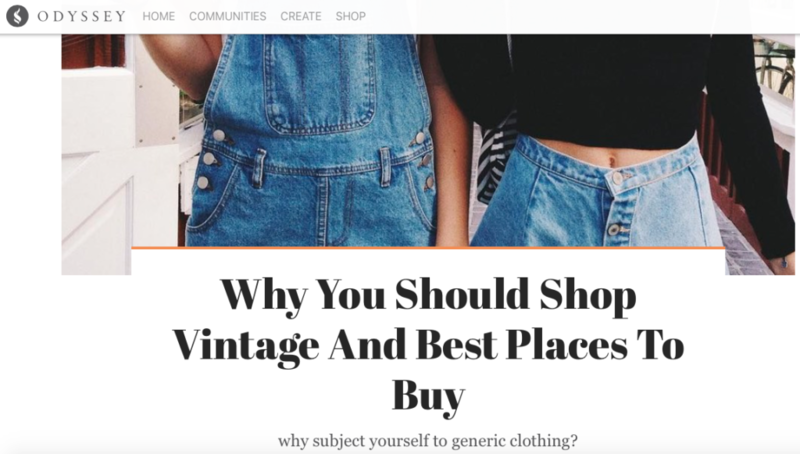 Etsy Boutiques – Surprisingly the BEST vintage clothes on Etsy, my favorite shop being ShopExile, a vintage boutique out of LA. Having worked in the fashion industry for 10 years for brands like Topshop, Marks and Spencer and Levi Strauss, founder Stella knows her stuff. Teeming with one-off gems from designers all over the globe the website sells everything from clothing to jewellery and even has its own blog. We’re pretty delighted to have be chosen as one of the best online vintage shops by, none other than the classic fashion bible, British Vogue! 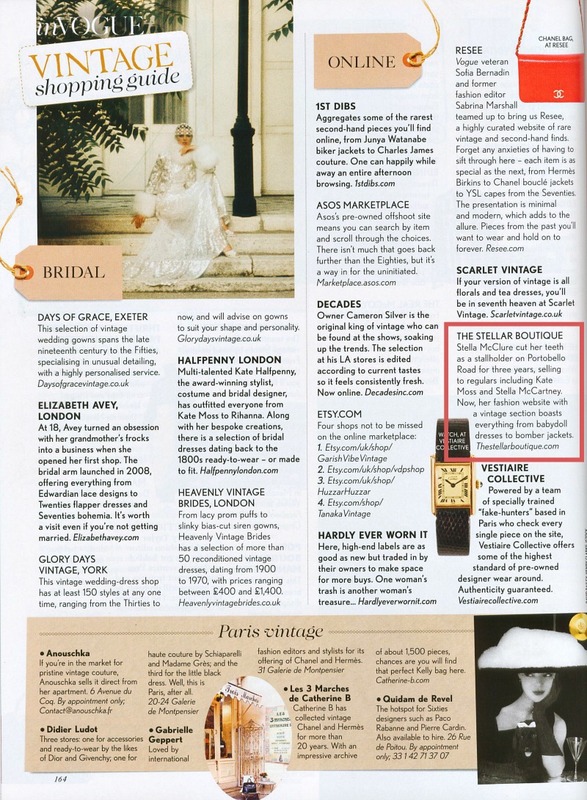 Yep, Vogue rates us as one of the top online vintage boutiques and if Vogue says so then it must be true! 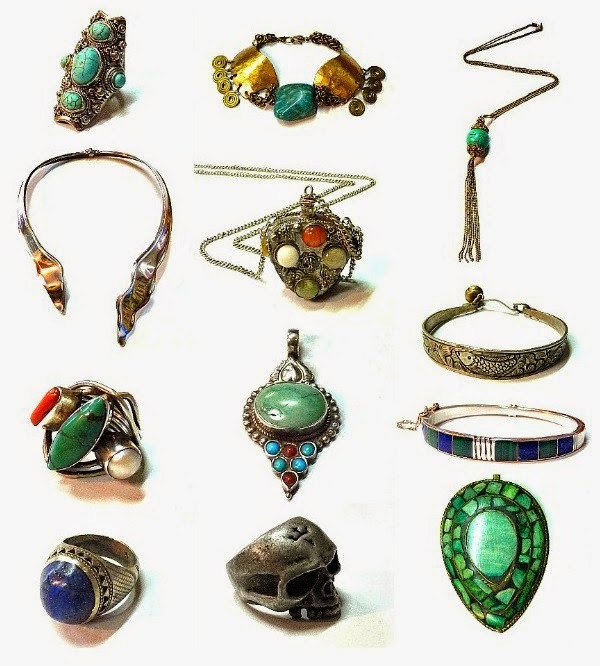 Strut back into the 1960’s to 1970’s, take off your heels, throw on some flat sandles and be inspired by hippy bohemian vintage. 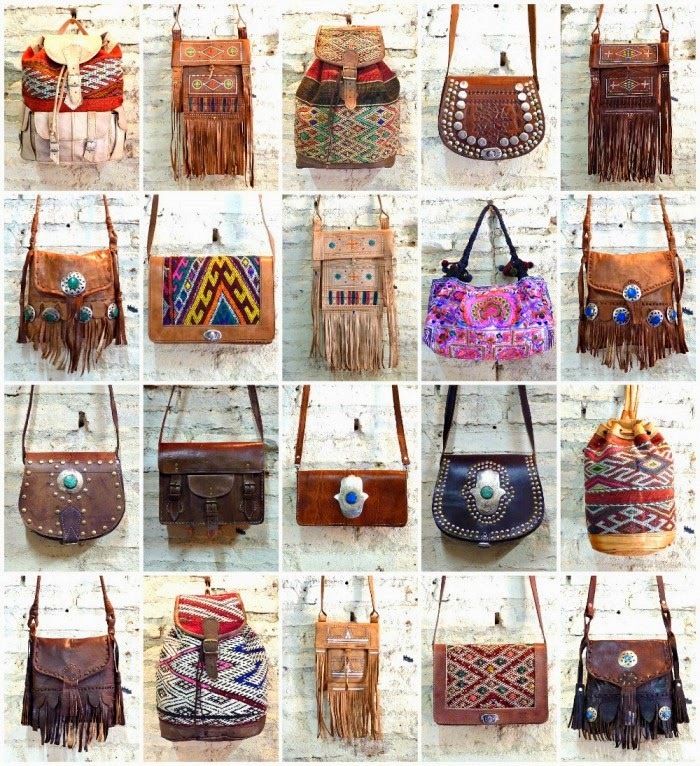 The style thats inspired by Gypsy, African, Indian and Native American traditional dress and tribal symbols. The laid back look of Boho style gives you permission to layer up or layer down for Summer or Winter weather. Its all about accessories like; feathers, headbands, bangles, beads, hoop earrings and tassles. Mixing colours and clashing patterns. They all help in aiding the look of of a Bohemian princess. The great thing about dressing the Bohemian way is that you can take your simple, oversized maxi dress you never wear out, add a knitted waist-coat with tassles, some hoop earings, layers of bangles and you’ve got the look quicker than any other “get the look” style. Thanks to Smock To Frock for you’re fab post!